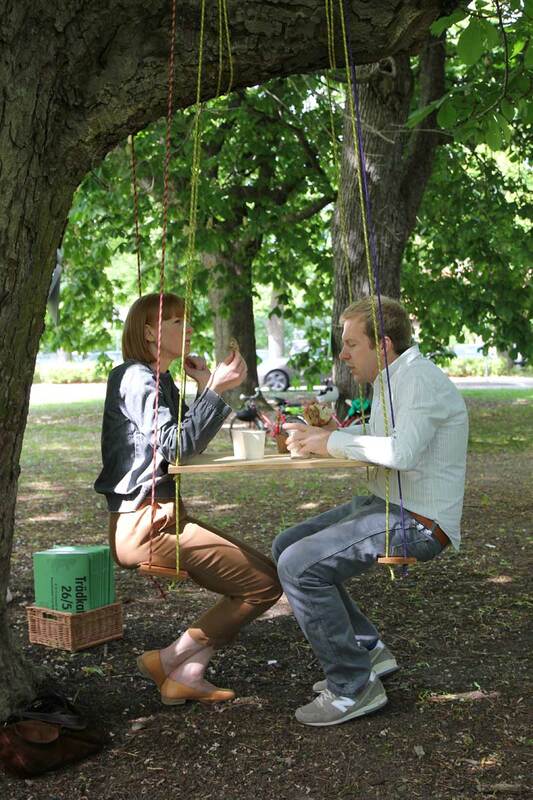 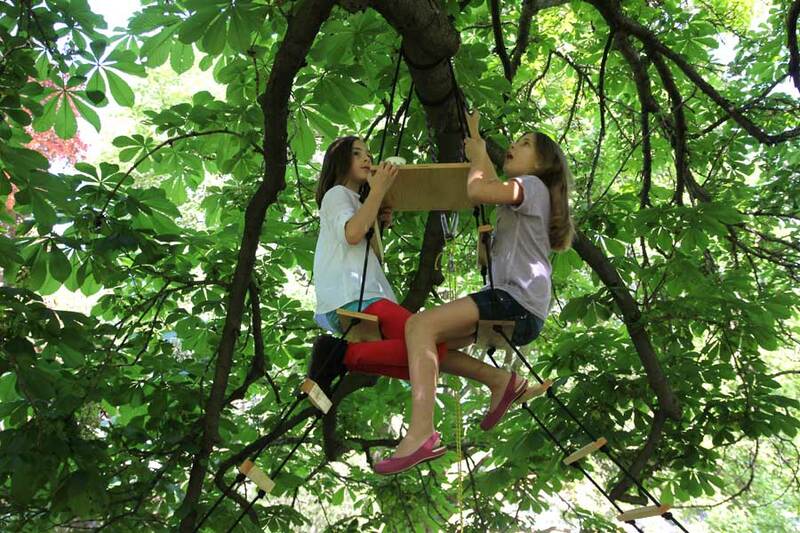 A mobile café designed for trees. 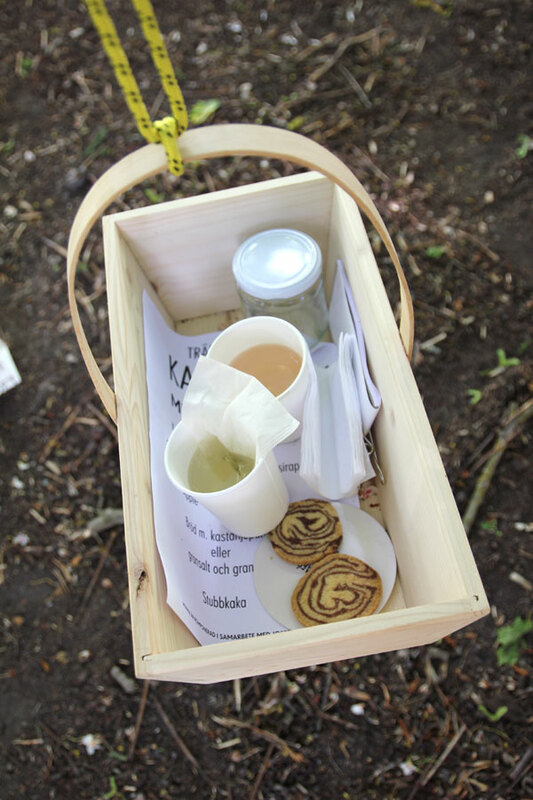 The café will tour around Stockholm treetops of different species. 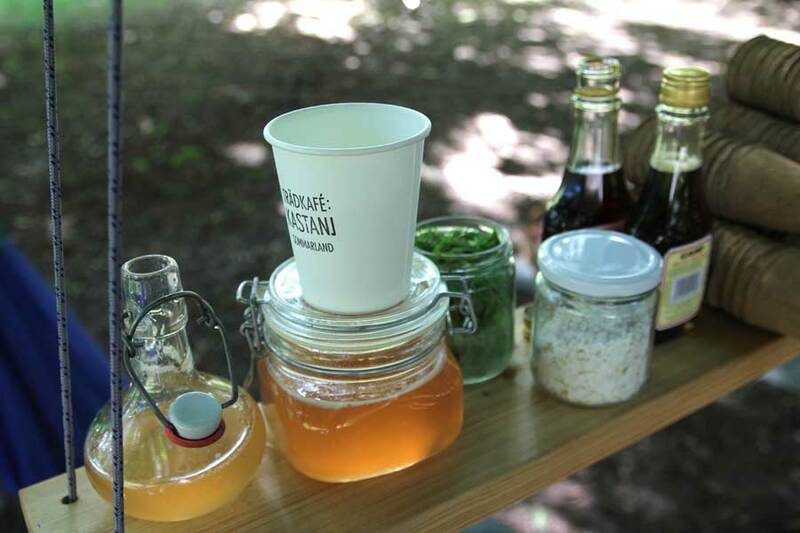 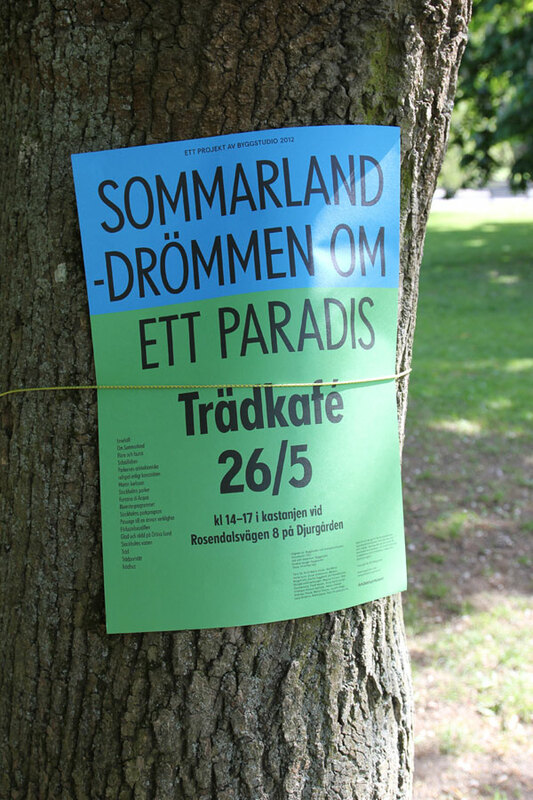 The first café event was held in May 2012 in a chestnut tree at Djurgården. 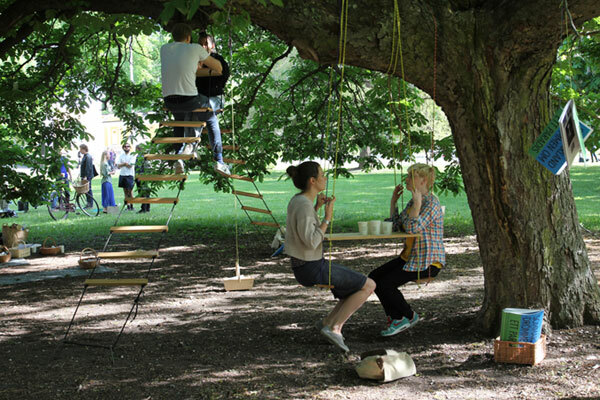 The seating and ladders are made from different wood with different character: fir, oak, beech and lark. 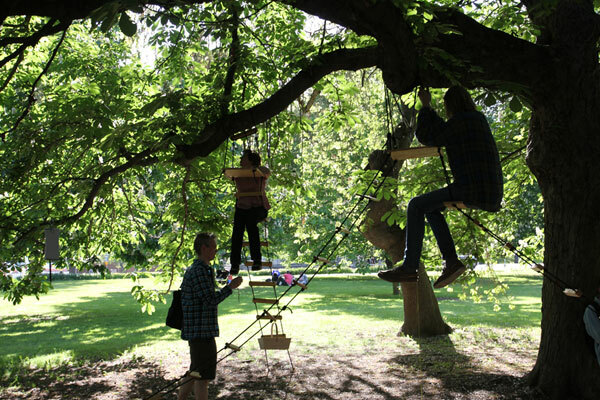 Constructed in collaboration with Oscar Andersson. 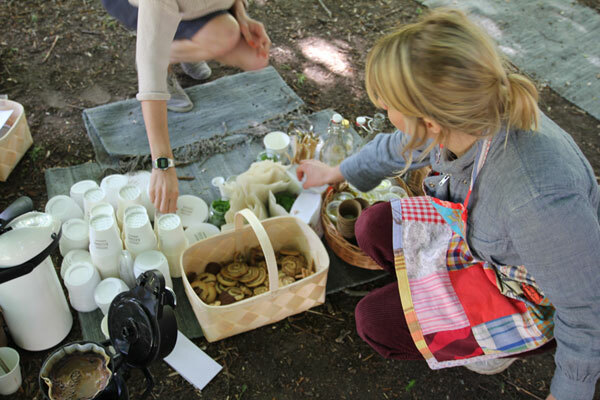 Tree-inspired menu designed with Josefin Vargö: fir tea with maple syrup, bread with chestnut cream and tree stem cookies. 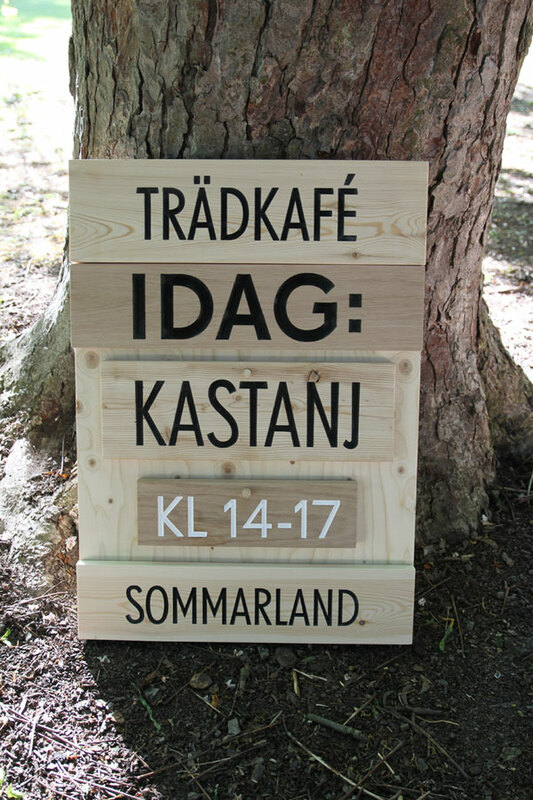 A project made as part of Byggstudio´s exhibition Sommarland at Arkitekturmuseets Projektrum.